The new Eurocosmo collection of kitchen faucets combines the clean, geometric lines of modern architecture with durable technology. 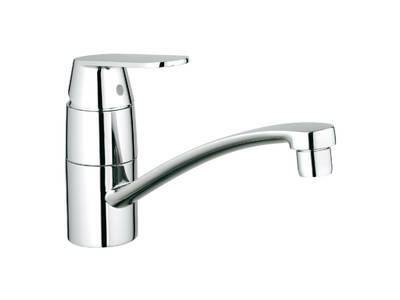 They offer an impressive balance of modern aesthetics and excellent ergonomics. 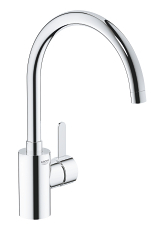 The swivel spout is convenient and easy to use - the ideal complement to any sink. 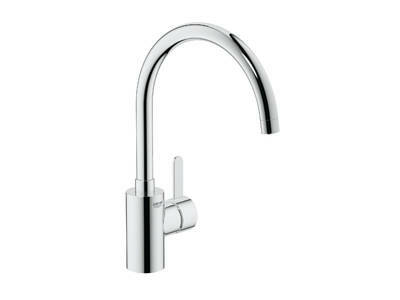 Proven technologies such as GROHE SilkMove® for precise and smooth control and the high-gloss GROHE StarLight® chrome finish ensure the functionality and a flawless appearance, even after many years of use. 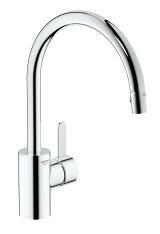 The GROHE EcoJoy™ version of the Eurocosmo kitchen faucet effortlessly saves water and energy. 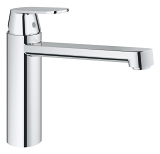 GROHE EcoJoy™ reduces the maximum flow rate to 5.8 litres per minute - although it will feel like much more. And all with an unbeatable price/performance ratio.